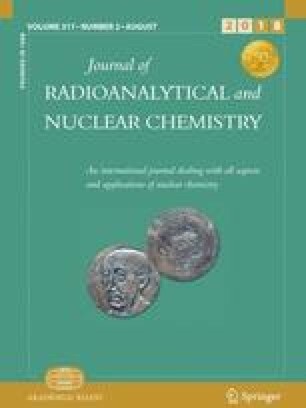 We present the results of gamma ray yield measurements from the neutron induced fission of natural uranium at a low power research reactor. Our focus is on the quantitative yields of radio activities produced from 99Mo, 132I, 133I and 135Xe. These isotopes are good candidates for applications in medicine. We estimate the saturation activities and likely yields at typical neutrons fluxes of 1013 n/cm2/s and conclude that natural uranium, in conjunction with neutron beam facilities, offer viable production venues. This work was supported in part by a NSERC discovery grant to Rangacharyulu. We would like to thank the anonymous reviewers of this manuscript for their comments and suggestions, which helped us improve the paper.